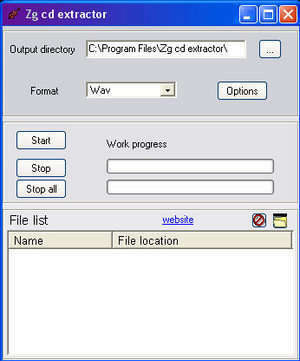 ZG CD extractor is a free CD to WAV/MP3/OGG ripper application with many customization options. Highly customizable you can for example change the bit sample, and the sampling frequency for WAV files or get stereo or mono files. For mp3 you can change as well mp3 tags, and select common options to these tags for several files. Mp3 files are encoded using the lame library and it allows to use variable bit rate (VBR) as for OGG files. For security reasons, you should also check out the ZG CD extractor download at LO4D.com which includes virus and malware tests. Additional screenshots of this application download may be available, too.